Thanks to cold temperatures and fresh snow from the latest storms, two more ski resorts announced openings this week — Kirkwood Mountain and Sugar Bowl — bringing the total to nine Lake Tahoe ski resorts open by this weekend. 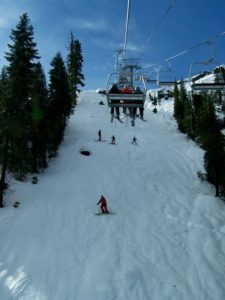 Sugar Bowl ski resort in Lake Tahoe will have three lifts operating this Friday for its season-opener. Sugar Bowl has chosen Friday (Nov. 25) as its opening day. It will be running three chairlifts and providing top-to-bottom skiing and riding. Mt. Lincoln, Christmas Tree and Nob Hill lifts will offer access to groomed slopes and possibly some powder stashes. In addition, nearby Royal Gorge will be offering cross-country skiing. Kirkwood will open Saturday, Nov. 26 and joins two other Lake Tahoe resorts owned by Vail Resorts – Heavenly and Northstar – that will begin running their lifts Wednesday. Soda Springs ski resort will also join the party, opening Wednesday as well, along with Squaw Valley and Alpine Meadows. The addition of Kirkwood, Sugar Bowl and Soda Springs means that nine Tahoe ski resorts will be running lifts by the weekend. Two Tahoe ski resorts are currently open – Mt. Rose and Boreal Mountain. The weekend snow storms delivered as much as 11 inches of fresh snow to Kirkwood and was a welcome sight with the Thanksgiving holiday arriving. Additional snow and cold temperatures are forecast throughout this week. “We are excited to open Kirkwood this Saturday. 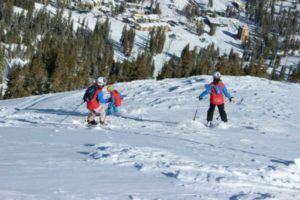 Kirkwood is living up to its famed reputation for great snow – even on opening day,” said Doug Pierini, vice president and general manager of Kirkwood Mountain Resort. With the arrival of winter, skiers and riders have two additional weeks to purchase a 2016-2017 Epic Pass for the Vail Resorts, which offers savings of up to 40 percent compared to lift ticket window prices. The Epic Pass is on sale through Sunday, Dec. 4. Kirkwood will open Saturday and is one of nine Lake Tahoe resorts that will be running their lifts on Thanksgiving weekend.